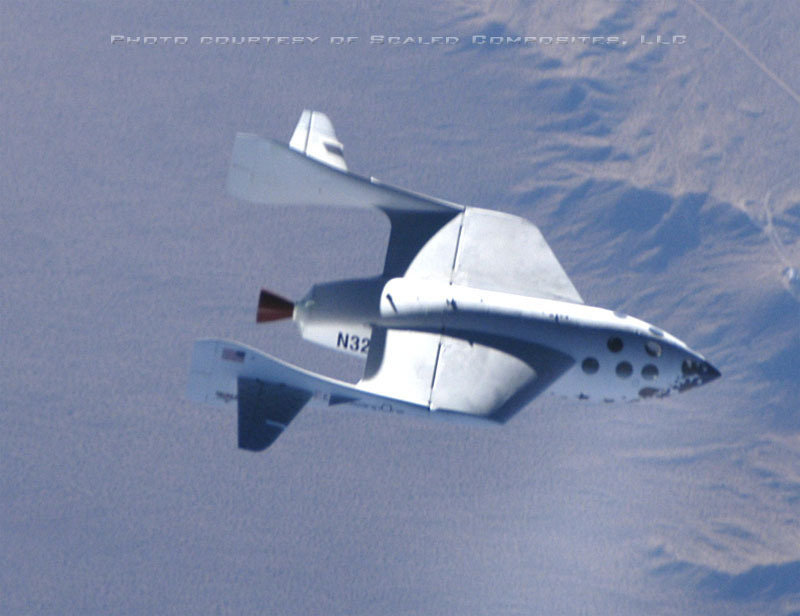 Home » Technology » What was SpaceShipOne? SpaceShipOne is a privately funded experimental spaceplane developed by Burt Rutan’s company, Scaled Composites, in their Tier One program, as their entry in the ANSARI X PRIZE competition. On June 21, 2004 it made the first privately-funded human spaceflight. SpaceShipOne is designed as a suborbital spacecraft, meaning it will achieve sufficient altitude to reach space but not sufficient speed to sustain orbit. The FAI definition of the edge of space is 100 km, which exceeds the NASA/USAF definition of 50 miles (80 km). SpaceShipOne is capable of exceeding 100 km. SpaceShipOne shares some features from earlier rocket planes. It uses a hybrid rocket motor developed by SPACEDEV Inc. powered by nitrous oxide and hydroxy-terminated polybutadiene(rubber), and is launched at altitude by a jet powered carrier aircraft called White Knight. The craft has a unique system of ‘wing feathering’: during re-entry to the denser parts of the atmosphere the wings can be swivelled from horizontal to nearly vertical to provide a controlled flight at reduced velocity. The cabin has space for three people, including the pilot. The costs of development and construction for SpaceShipOne, although not publicly released, are estimated to be in the range of 20 million dollars (US), roughly twice the value of theANSARI X PRIZE award. Paul Allen, a cofounder of Microsoft, is the sole source of the funding. ISO 27001 – how to implement it right?